This year, NR, utd. started off with a bang. Right off the bat, NR, utd. was hosting the first panel in one of the Main Events rooms. This panel was an indie developer round table discussion about various feeling and expertises in the variety of fields of game development. 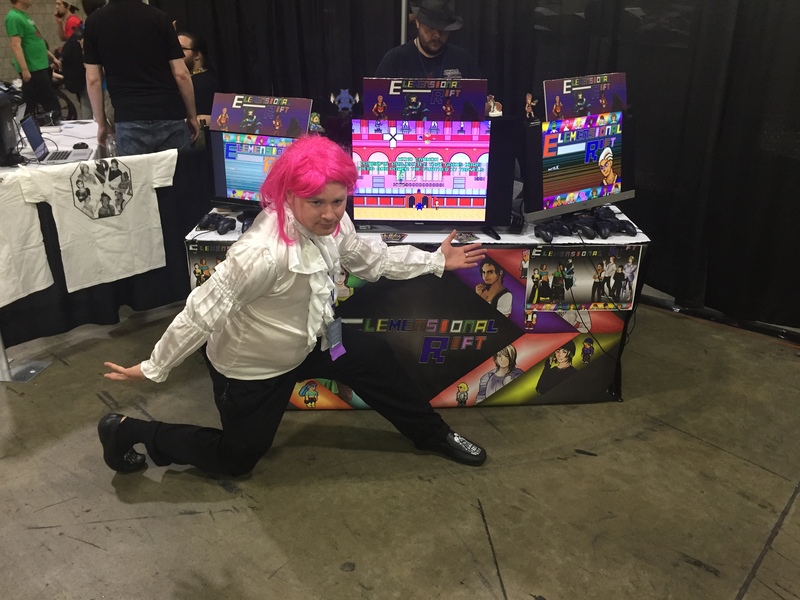 As expected for being the very first panel of the convention in that room, there were a couple technical difficulties but the staff were there and working hard to fix the problems as quickly as possible. The room was also nearly full, which was great to achieve early on a Thursday when a lot of attendees would be expected to still be at work or still in the registration line. 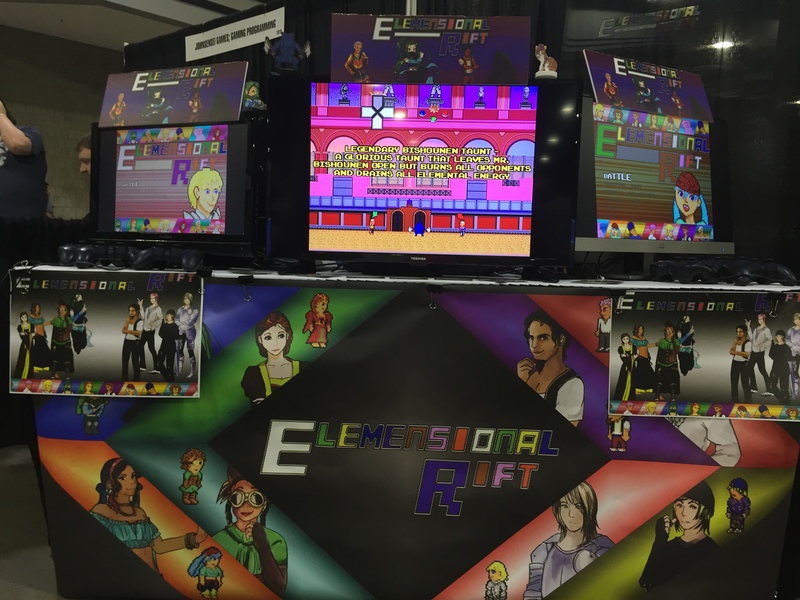 Throughout the weekend, players of all varieties came by to check out Elemensional Rift. Those who have checked it out in the past were also curious on all of the changes and growth the game has taken so far. 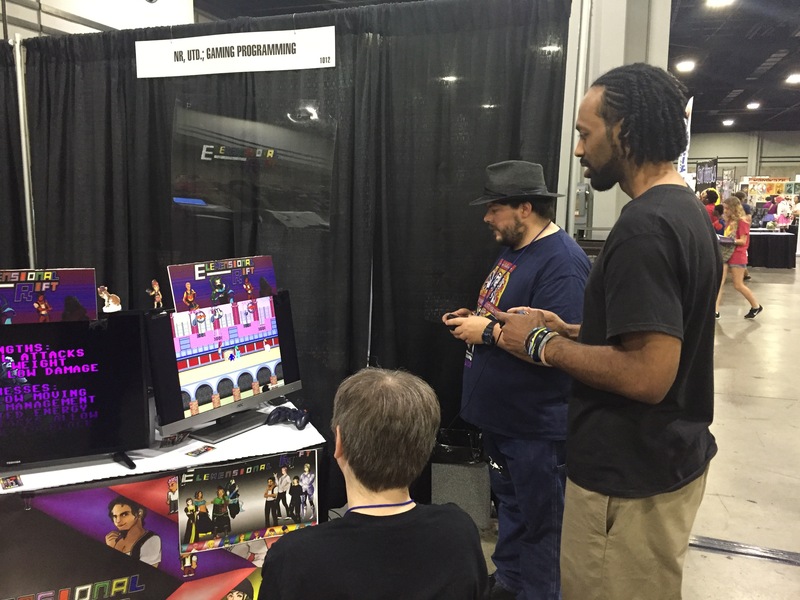 Even quite a few special guests came by to check out Elemensional Rift and excited to play it. Elemensional Rift even has the Dreamhack champion show up again to defend his title in the tournament. 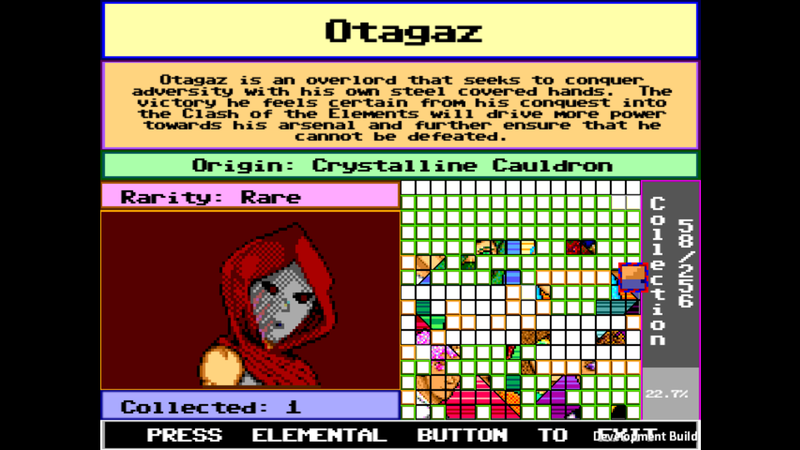 Aside from only losing to the lead QA director as a bonus match, the champion did defend his title well. 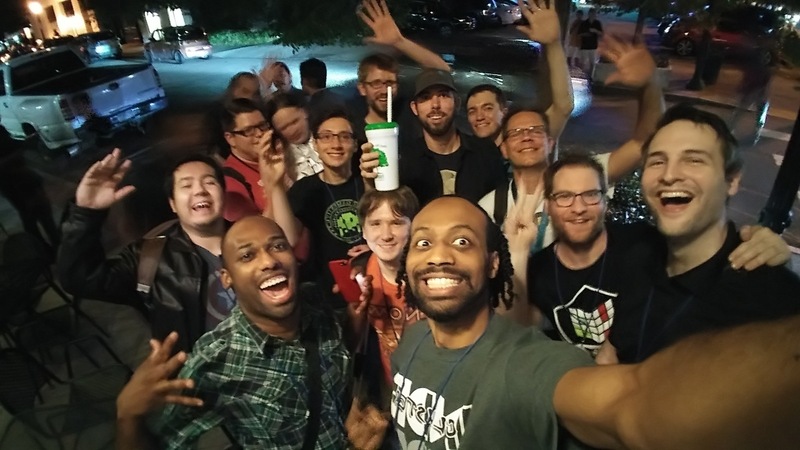 On Saturday night, the local Atlanta indie developers all met up for a little while before the Momo Con indie award show. A lot of developers were there for bringing all the support they could for the finalists. In the end, both TwinCop and SiNKR represented GA well for winning their awards. 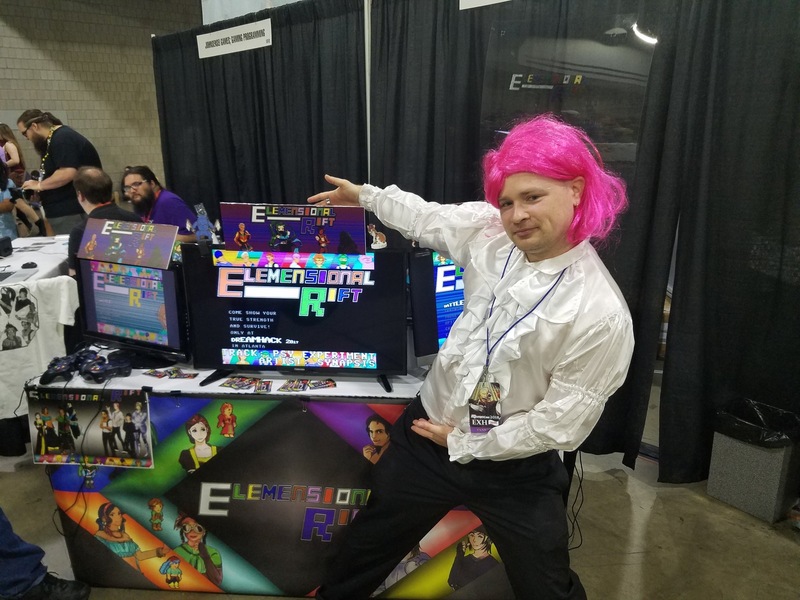 Momo Con 2018 was a very successful year and shows Elemensional Rift is ready to step things up with a little more polish and be ready to take the show floor by storm. 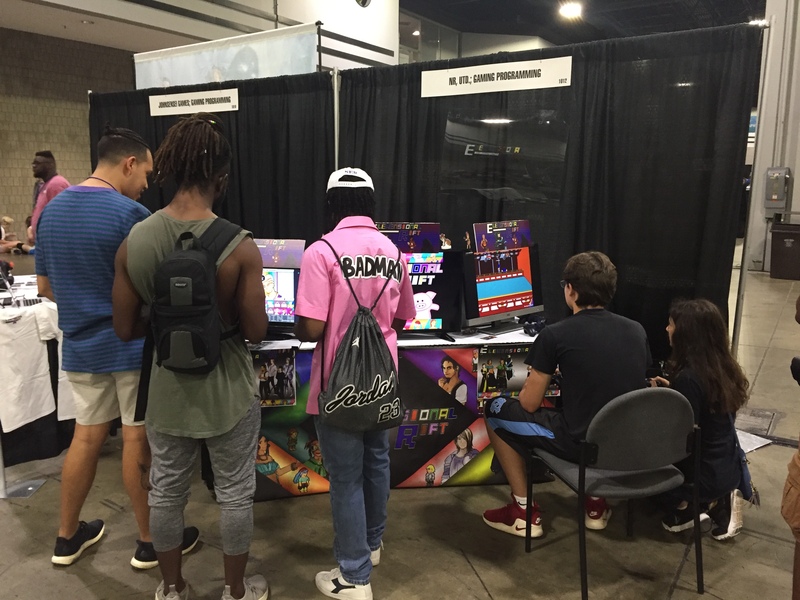 In a couple weeks, it will be on display at SFGE in Atlanta to once again build more hype and polish up from the feedback of Momo Con to continue progressing forward.